Heading up the Creative Department is Ben Pinson, a native Chattanoogan. After Graduating from SCAD, Ben began his career working for various print and sign companies here in Chattanooga, TN. His career lead him to a Creative Director position in Atlanta, producing design, print, and media for large companies such as Shaw, GE, NAPA, Nioxin, and Club Car. As Ben honed his technical skills in the workforce for many years, he also worked as a freelance designer on projects all over the Southeast. Ben has run and co-owned Blackout Multimedia LLC, in Atlanta for the past three years, and plans to continue producing excellent design work for DesignIT Services here in Chattanooga. 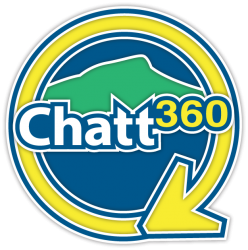 Chattanooga 360, also known as Chatt360 in the app world, is Chattanooga’s #1 mobile guide! All around Chattanooga there is plenty to do and see. Our goal is to promote and champion local events, businesses, people, and places so that neighbors and visitors alike have immediate access to what’s going on in Chattanooga. We’re working hard to make sure you have the information you need to make the best of your day, and we also hope you find something new to try out that you may have otherwise missed. Jump outside your “comfort zone” and see all that Chattanooga has to offer…we’ll be right here with you. We hope you’ll find value in our free Apps and use them often. The door is always open here at Chattanooga360, so contact us anytime to share events, upload pics & videos, or just to say hello. Thanks again, and we’ll see you around town. Do you have a website that deserves a spot our links page? If you are interested in a Link Exchange with Design IT Services LLC, Please Click Here. <a title="Tennessee Design Company" href="http://www.designitservices.com/" target="_blank" alt="Chattanooga Designers"><strong>Design IT Services (Chattanooga, TN) Affordable Graphic Design, Logo Design, and Website Design.</strong></a> Professional Design Services and Marketing at very affordable prices. Take your logo and website to the next level with Design IT Services. Home Page Web Design: Custom Header, Custom Navigation, and Custom Footer Graphics (other graphics are extra). A Blog Page. Where you can post most recent news and upcoming events. 1 Month Free of Basic SEO and SEM services. You found us, so we must be doing a good job of marketing our site and SEO. Let Design IT Services optimize your website content so it rises to the top of the search engines like Google, Bing, Yahoo, etc.. Drive more visitors to your site, increase online business, and get important information to your customers by letting us advertise your site and market your online presence. $425 for the first month and setup / $350 for each additional month. Creating a website is like putting your company’s name in the phone book, some companies just need a business listing and some need a full page advertisement. If you built your website with Design IT Services, you are one step ahead of the competition because your website has already had some Search Engine Optimization done. This means that your website has had keywords and descriptions (meta data) added to the content on your website so that browsers will find it easier. Design IT Services also creates a sitemap of all your website’s pages and submits it to the main search engines every time your website is updated. Some websites do not need any more optimization or marketing, but if you are serious about creating a web identity for your company, selling items or services, and moving ahead of your competition, you will constantly need to add content, market, and optimize your website for best search results. That’s where Design IT Services comes in. Our SEO & SEM package deal includes 6 hours of additional changes or updates per month. So you are already getting more than your money’s worth, if you pay for updates by the hour. This includes any design or graphic work for your website (other design projects must be billed separately). At the beginning of every month Design IT Services will send you an email with optimal website design consulting and update suggestions for these additional hours. Below are the other services you get with our monthly SEO & SEM package. You want your website to appear at the top of browser searches, and this is mainly based on your website’s content and optimization. This process takes months to perfect and must constantly be maintained and changed based on current browser methods. We ask that if you sign up for our package deal, you use it for at least 6 months for best results, but you may cancel at any time. With our SEO & SEM package you will receive monthly updates on how your website’s keywords are performing and an Analytics Report with visitor and traffic information. Design IT Services uses various strategies and optimization tools in the following: design, submission to major search engines, linking and back-linking to other websites, third party tools, and formulating relevant content for your website. Search Engine Optimization is also done for every new post, image, and page you create or update on your website. Using our marketing techniques we will promote your website to increase your website’s visibility in search engine results and gaining traffic. SEM is a constant and tedious task. It also frequently needs to be updated and monitored. We use Search Engine Marketing for Traffic Generation, Generating Potential Leads and new Customers, and Reputation Management Online. Design IT Services will customize a marketing plan for your website to get noticed, to stand out from your competition, and to increase your websites profitability and ROI. Google, Bing, Yahoo, and other browsers offer a list of tools and services that will help us to market your website over many highly trafficked websites. Design IT Services sets you up with a Google Account for your website and uses all of these tools to gather important information and change your website accordingly. Once this account is setup with all the tools you need, you will be available to login to your account and see the results for yourself. Another part of SEM is Social Media Marketing (SMM). SMM is a type of marketing that involves using social media and social networks to bring in more traffic which lead to potential clients and customers. Our SEO & SEM package includes business account setup for facebook and twitter. Design IT Services also uses Pay-Per-Click(PPC) to increase your websites rankings and traffic, and we start you out with a $100 Google AdWords Credit and free Campaign Setup. You will also receive a monthly report on how your campaigns are performing. There is no obligation to continue your Adwords Campaign after the initial $100 credit is gone, but if you are satisfied we can continue your campaign by adding credit to your account and formulating a monthly budget for the campaign. Read More about Search Engine Optimization and Search Engine Marketing. Click Here! Design IT Services Web Design examples. 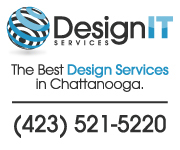 Choose the best web design company in Chattanooga for your web design project.